All healthcare professionals are well-positioned to influence positive lifestyle changes among their patients, and encouraging physical activity is a vital part of helping patients avoid and manage health problems. However, physical activity is not well integrated into undergraduate curricula for medicine and other healthcare professions. The ‘Embedding Physical Activity’ report and appendices, co-authored by Ann Gates of Exercise Works who gave a keynote address at the Royal College of Chiropractor’s AGM in January 2018, was commissioned by Public Health England (PHE) & Sport England (SE) as part of their Moving Healthcare Professionals Programme, and is aimed at embedding physical activity into undergraduate curricula. 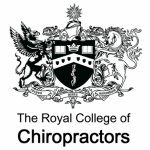 It highlights the initiatives of the Chiropractic Schools and the RCC which are working towards better incorporating physical activity into undergraduate chiropractic training and continuing professional development as part of a wider public health initiative. NICE has informed stakeholders that there has been a delay to the publication of the Low Back Pain & Sciatica guideline, which was due to be published on 7 September 2016. Apparently, a large number of comments were received during the consultation phase and so additional time is being taken to ensure that all of the points raised have been considered fully and responded to appropriately. The new publication date has yet to be confirmed.